There seem to be a myriad of rich and ever-growing constellations of experimental musicians in NYC, as diverse as the tongues spoken in the city’s streets. Even though such groups have traditionally operated in the margins (and they do that by definition), many of their constituent artists move between genres with great ease, in a seamless process of cross pollination that enriches the conventional and the eccentric alike. One of such artists is guitarist/composer Harvey Valdes, who has defied pigeonholing to become a remarkable voice as an instrumentalist, writer and improviser. Whether it he is writing music for film (as in his recent score for the film Utopians, premiered in 2011 at the Berlin Film Festival), or immersing himself in the fusions of world and jazz (such as playing oud with the project Anistar), or performing solo or with his several projects as leader or co-leader, Valdes’ sound stands out with its virtuosic blend of fluidity, eclecticism and earthiness. His style is far reaching but manages to never lose sight of its essential melodic and expressive essence. 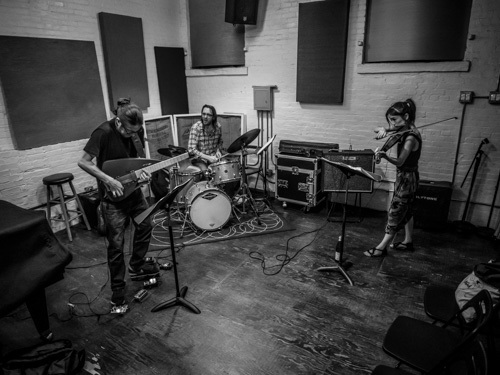 For his trio show Valdes is joined by violinist Sana Nagano and drummer Joe Hertenstein, promising an outright rocking set filled with exhilarating compositions and the raw, free energy of improvisation. No Replies to "HARVEY VALDES TRIO"